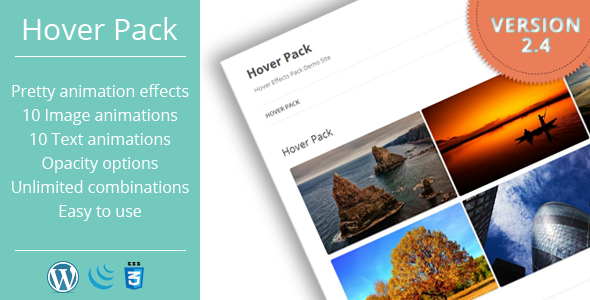 This hover effects pack plugin allows you to add image via shortcode, Visual Composer, SiteOrigin Pagebuilder or Widget and set hover animation, text animation and text delay. Also this plugin has options page, where you can select colors for color layer and text. Old versions of IE (9 and before) not support css3 animation effects. Safari 5.1.7 not support part of css3 properties.